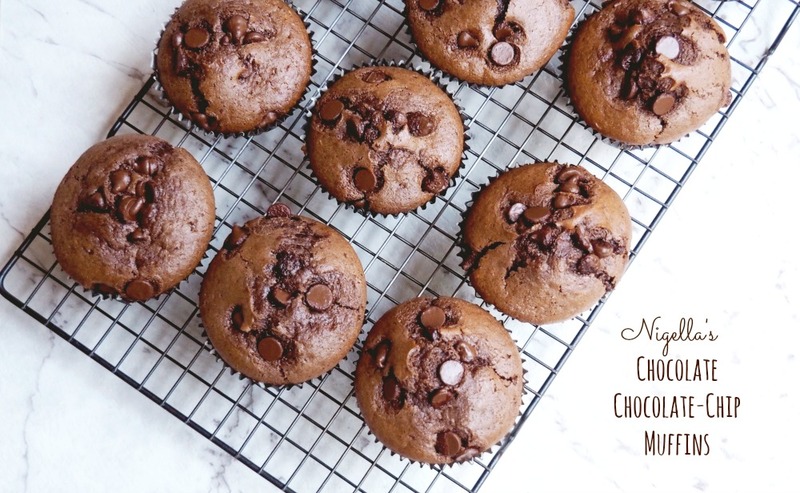 Muffins and chocolate – two of my favourite things! You can make these delicious double chocolate muffins in minutes – this recipe is so easy with or without a Thermomix! 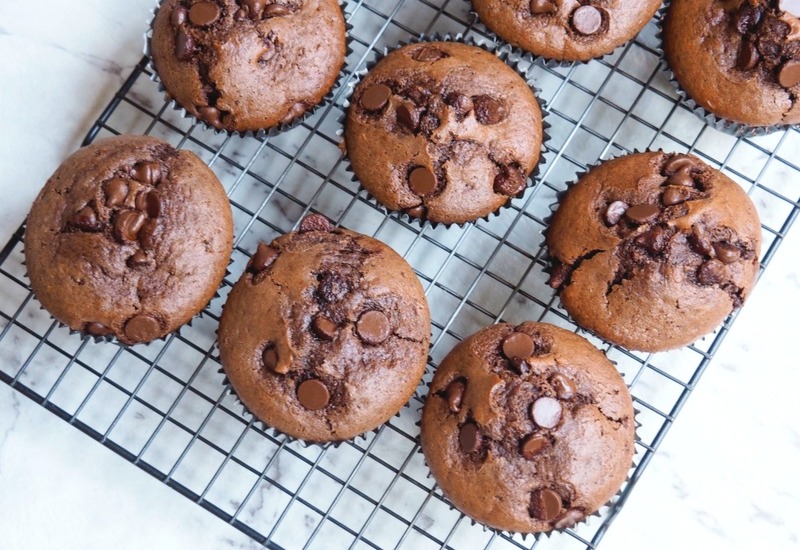 If you need, you can easily make these muffins dairy free, if you substitute your favourite milk alternative and use dairy free chocolate chips – these muffins will still taste fabulous! I’ve updated the recipe with some new pics and a Thermomix conversion so everyone can get in on the muffin action. Are you on Team Chocolate? What’s your favourite muffin flavour combination? 2. Put the flour, baking powder, baking soda, cocoa, sugar, and 3/4 cup of the chocolate chips into a large bowl. 3. Pour all the liquid ingredients into a measuring jug. Mix the dry and wet ingredients together, remembering that when it comes to muffin batter, the lumpier the better! 4. Spoon into the prepared muffin cases. 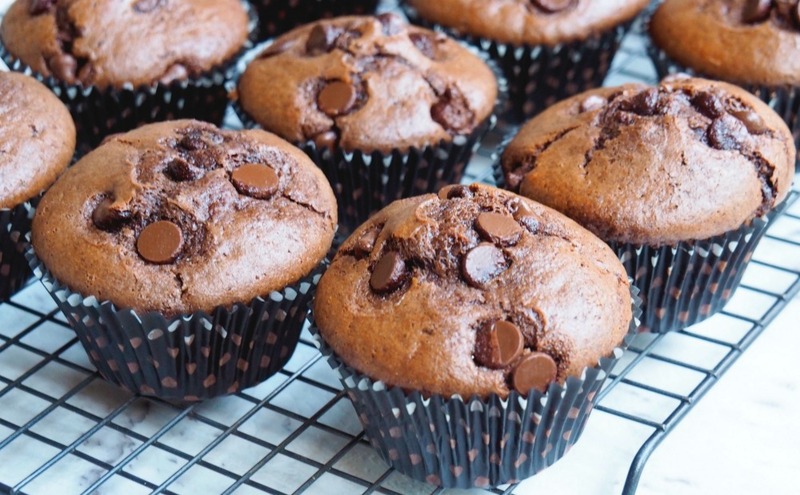 Sprinkle the remaining 1/4 cup chocolate chips on top and then bake for 20 minutes or until the muffins are dark, risen and springy. 1. Preheat oven to 180C / 160C fan-forced. 2. Mill the sugar for 3 seconds on speed 9. Set aside. 3. Pour all the liquid ingredients into the TM bowl. Mix for 10 seconds on speed 5. 4. Add the flour, baking powder, baking soda, cocoa, sugar, and the chocolate chips into TM bowl. Mix for 5 seconds on speed 4, using the spatula to mix. Don’t over mix! – remember a lumpy mixture makes the best muffins!